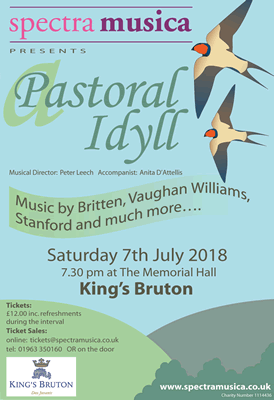 Spectra Musica’s Summer Concert, entitled “A Pastoral Idyll”, will be performed on 7th July at 7:30pm in the beautiful setting of King’s School, Bruton. Their Memorial Hall is a new venue for the group and a perfect setting for a summer’s evening. 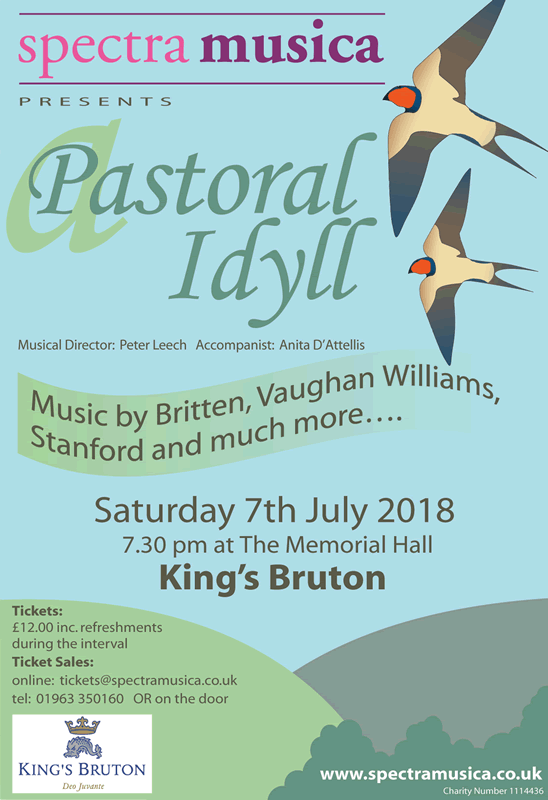 Led by Musical Director Peter Leech, the programme promises to be as varied as ever with composers including Britten, Vaughan Williams and Stanford, a lively samba and much more. Concert pianist and accompanist Anita D’Attellis will feature once again. Tickets are £12 and available from , 01963 350160 or on the door. There is ample parking at the venue.